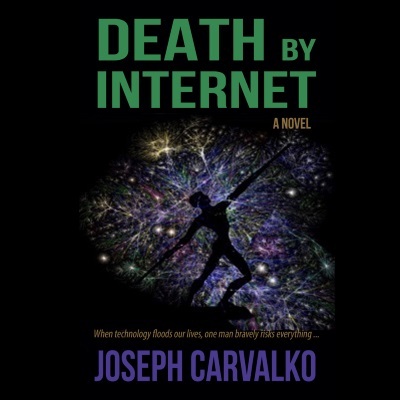 Carvalko takes the reader to the outer edge of technology and ethics in a speculative fiction that evokes the bizarre power of the Internet to reveal if the world is merciful. A fitting topic in light of contemporary America, with its frequent violent episodes and inadequate political responses. Strapped down and dying in a prison cell, Sam Mariani tells the story of how he searched for an objective “good,” inviting the public to respond to his blog, but rather than click the familiar “Like” button as on Facebook, they voted to either “Die” or “Live”, depending on whether they agreed with his opinion, which in turn forced the protagonist to inhale, through a valve, minuscule doses of cyanide or its antidote. “If you delight in fiction that engages the reader in an ethical dilemma, you’ll love this contemporary allegory, which journeys from Wounded Knee to a macabre life and death experiment on the Internet.” Wendell Wallach Chair of the Yale Technology and Ethics Study Group and author of A Dangerous Master: How to Keep Technology From Slipping Beyond Our Control. For more about the book listen to a short podcast http://carvalko.com/death-by-internet/, where Dr Katina Michael, professor of Informatics at the University of Wollongong, Australia and Editor in Chief IEEE Technology and Society Magazine, interviews Carvalko about his new novel and the implications of future of technology on culture. 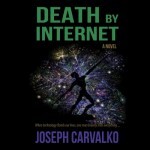 Carvalko has taken the idea in Death By Internet further than any author in his genre by creating a video and a website, where the protagonist acts out his scheme. Not for the faint-hearted, the reader closes in on the reality of the protagonist. To participate in this strange experiment, visit the YouTube presentation, https://www.youtube.com/watch?v=RdMv0CHFF2U; then go to the protagonist’s website, http://www.polliceverso.net; and finally hit the FACEBOOK icon, where you can express your opinion on this unique approach to discovering if there is compassion and empathy underlying patterns of human behavior.